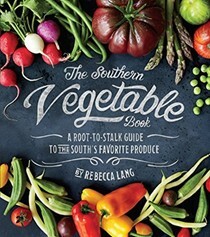 Rebecca Lang is a food writer, cooking instructor, television personality, and a ninth-generation Southerner. 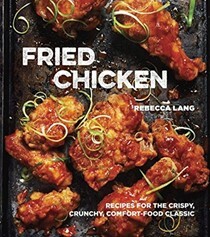 Born and raised in South Georgia, she is the author of Fried Chicken (Ten Speed Press, May 2015). 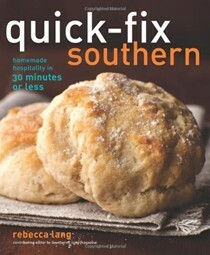 Her other books include Around the Southern Table (Oxmoor House, Oct 2012), Quick-Fix Southern (Andrews McMeel, March 2011), Mary Mac’s Tea Room (Looking Glass Books, 2005), and Southern Entertaining for a New Generation (Cumberland House, 2004). She has appeared on Fox & Friends Weekend, multiple segments on QVC, WGN America’s Midday News, and numerous regional and local networks. 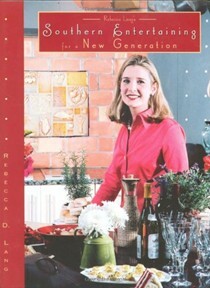 Rebecca and her cooking have been featured in more than 50 nationally televised Southern Living food segments and in publications such as The Wall Street Journal, The Atlanta Journal-Constitution, The Washington Post, the Houston Chronicle, Wine Enthusiast, FoxNews.com, The Daily Meal, Glamour and Fitness magazines. She serves as a contributing editor for Southern Living, teaches cooking classes across America, and writes a blog that has been featured on the James Beard Foundation Blog, Delights and Prejudices, and noted in Food News Journal’s Best of the Blogs. Her writing has appeared in many publications including Southern Living, Disney’s Family Fun, Taste of the South, The Atlanta Journal-Constitution, Flavors magazine, and Edible Atlanta. Rebecca has worked on the editorial aspect of over 30 books. A former assistant food editor at Oxmoor House, she earned a journalism degree from the University of Georgia and a culinary arts degree from Johnson & Wales University. She apprenticed with Southern cooking legend Nathalie Dupree. 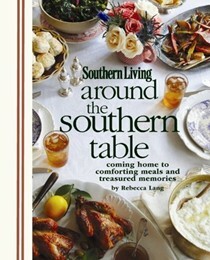 Rebecca was an assistant food stylist for Home Plate Cooking and was the editor and indexer for Atlanta Cooks at Home. She has also developed recipes for Weight Watchers Annual Recipes for Success 2004 and the next book in the series in 2005. 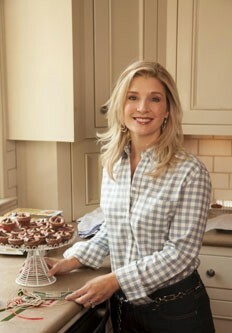 Her recipes are included in Christmas with Southern Living 2004 and 2009. Rebecca also worked as a freelance project manager and text designer for a small publishing house, Looking Glass Books, in Atlanta. Rebecca has worked as spokesperson for some of Georgia's finest produce, including Vidalia Onions and Georgia Blueberries. 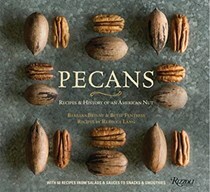 Rebecca has been a food stylist and hand model for various print and television commercials. She has worked with Black & Decker, Krystal, LongHorn Steakhouse, Mrs. Smith’s, Shoney’s, and Good Eats. She is a member of the Atlanta Chapter of Les Dames d’Escoffier, The International Association of Culinary Professionals, The Southern Foodways Alliance, the James Beard Foundation and Georgia Organics. She resides in Athens, Georgia, with her husband, Kevin and their children, Camden and Adair.